CANTON, MA – Global leader in asset management solutions, EquipNet, is hosting a Processing and Packaging Showcase Event featuring equipment located at its headquarters in Canton, Massachusetts*. The auction event will take place online on April 25, 2019 from 9:00am ET to 4:00pm ET. Prospective buyers are invited to a 2-day open house event for inspections on April 23 & 24 from 9am to 4pm. Buyers are given the opportunity to speak with our team of sales representatives at the open house and inspect some of the available assets in the auction. The lot catalog features over 130 listings from a number of leading facilities in the food, pharmaceutical, personal & homecare, industrial and many other sectors. 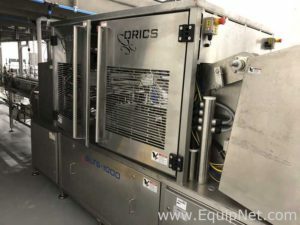 Inventory includes an Ilapak Delta 3000DC Flow Wrapper, Garvens S2 Checkweigher, Doboy J Wrapper Horizontal Shrink Flow Wrapper, Orics SLTS 1000 Automatic Tray Filler and Sealer, and more. For more information or to register for this auction, please visit the event page here. All other inspections outside of the open house are available by appointment only, 48 hours advanced notice required. To schedule an inspection and for all other auction inquiries, contact us at 781-821-3482 x2162 or auctions@equipnet.com. *Please note – Equipment in this auction is located in Canton, MA and multiple other US locations.